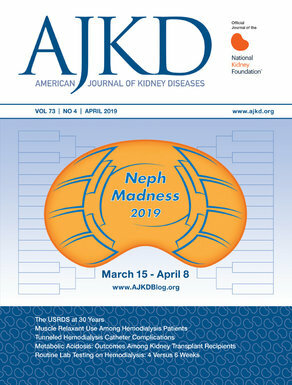 AJKD invites applications for its newly launched Editorial Internship Program, which will provide editorial experience to nephrology fellows interested in research, education, teaching, or medical editing/writing. AJKD Editorial Interns will have the opportunity to work directly with the journal’s Education Editor, who oversees Case Reports, Quizzes, Teaching Cases, and other content. Interns will gain experience in the peer review process by using original submissions to develop skills in assessing and describing manuscripts’ novelty, validity, and clinical relevance. Interns will meet regularly by teleconference with the Education Editor and will be able to follow manuscripts from submission to publication. They can expect to devote 2 to 4 hours per week to the program. The AJKD Editorial Internship will run from July 1, 2018 to June 30, 2019. Interns will be invited to attend the annual AJKD Editorial Board meeting at ASN’s 2018 Kidney Week in San Diego, CA. In addition, AJKD will cover the registration fees for NKF’s 2019 Spring Clinical Meetings in Boston, MA. Applicants are restricted to CURRENT first-year Fellows (or second-year Fellows who will be doing a third fellowship year) in US or Canadian Nephrology Fellowship training programs. Selection of AJKD Editorial Interns will consider candidates’ writing and medical literature research skills. The application deadline is April 30, 2018. Successful candidates will be notified by June 1, 2018.